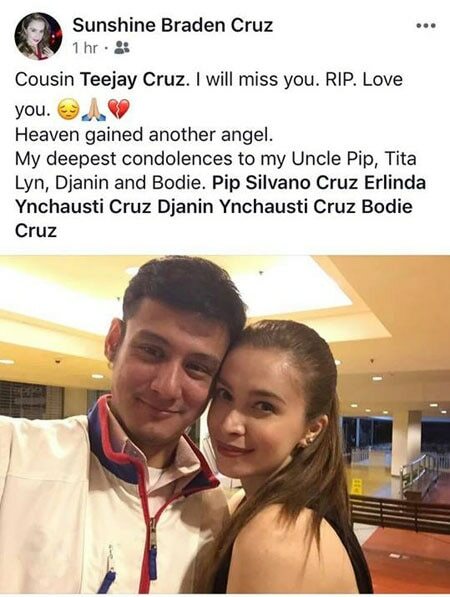 Teejay Cruz' death was confirmed by his cousin Sunshine Cruz and entertainment reporter Lolit Solis. 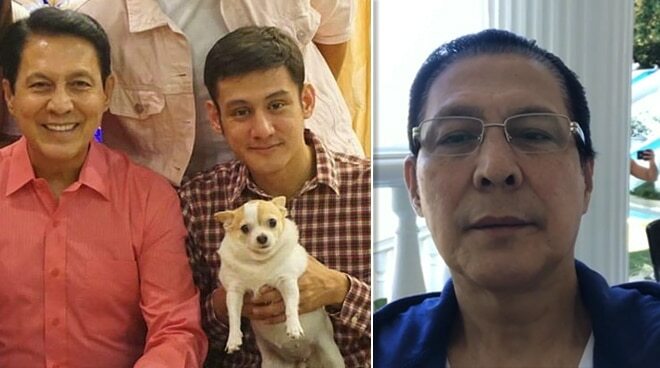 Teejay Cruz, former actor and eldest son of veteran actor Tirso Cruz III, has peacefully passed away earlier today, November 21. While his family has yet to release an official statement, his cousin Sunshine Cruz has already confirmed the news through her Facebook account. “Cousin Teejay Cruz. I will miss you. RIP. Love you. Heaven gained another angel,” wrote the former “Wildflower” star. According to entertainment reporter Lolit Solis, Teejay spent his last days battling with lymphatic cancer. “Na-sad naman ako sa news sa anak nila Tirso Cruz III at Lyn na si TJ, Salve. Sabi ni Dolor, lymphatic cancer daw at kanina lang daw madaling araw bumigay ang panganay nila,” said Lolit in an Instagram post. Teejay was best known for his role in the Kapamilya youth-oriented show, “Ang TV”, as well as in films “Rollerboys” and “Eskapo” in 1995. Apart from his acting stints, Teejay will be remembered for his passion project “Spike For Hope”, a volleyball tournament that aims to highlight survivors of pediatric cancer.